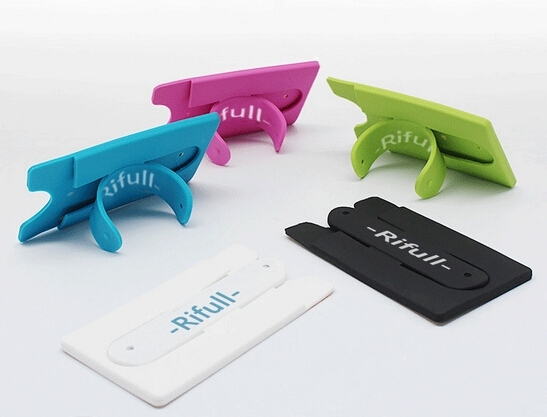 Silicone cell phone Stand Holder with 3M sticker. Perfect combination of card wallet and cell phone stand holder. With 3M adhesive sticks to the back of any phone, securely holds up to 3 credit cards.